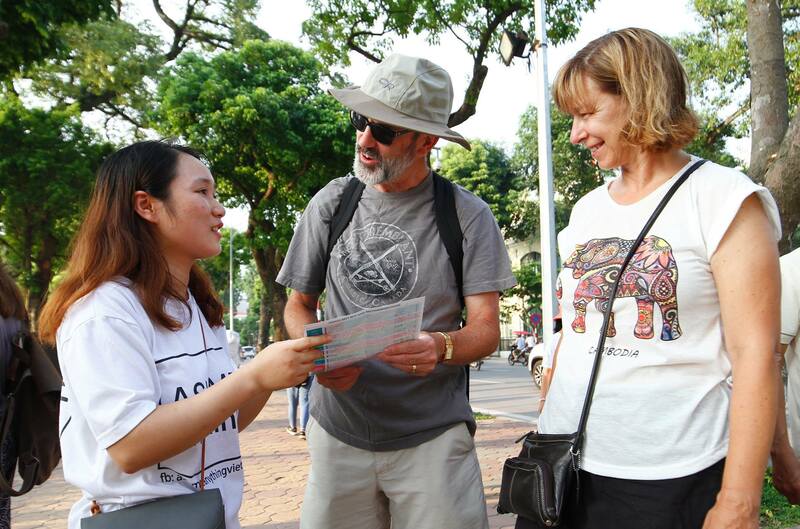 Everyday we saw thousands of tourists wandering around with many questions and there was almost no-one to answer them. 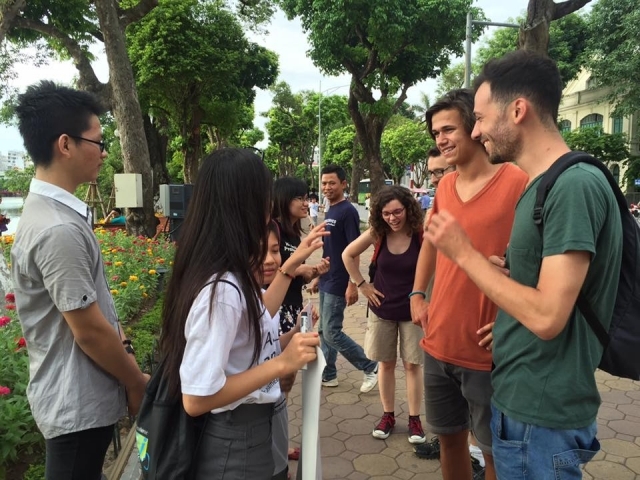 Without a tour guide they wouldn’t be able to understand and appreciate Hanoi. 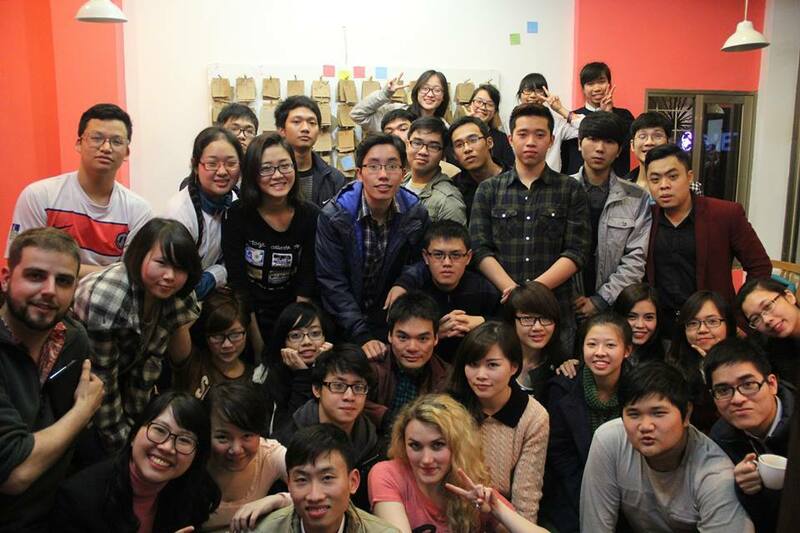 Meanwhile, we have also seen many young Vietnamese who love foreign languages but lack the environment to practice. we wondered how could we connect the two. So we came up with an idea. 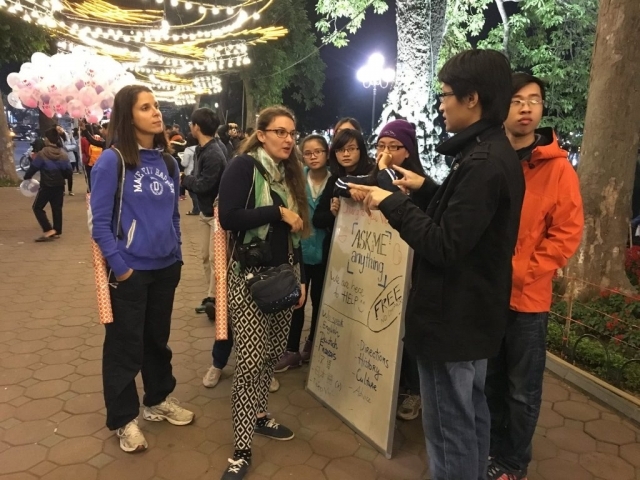 The idea was to form a group who wanted to devote their free time to help tourists with their questions. we named it “ASK ME anything”. The benefits are: locals will help to promote a better image of Hanoi and Vietnam; they can also practice their foreign languages; they can meet more people and make more friends; and they get to spend their time more meaningfully. 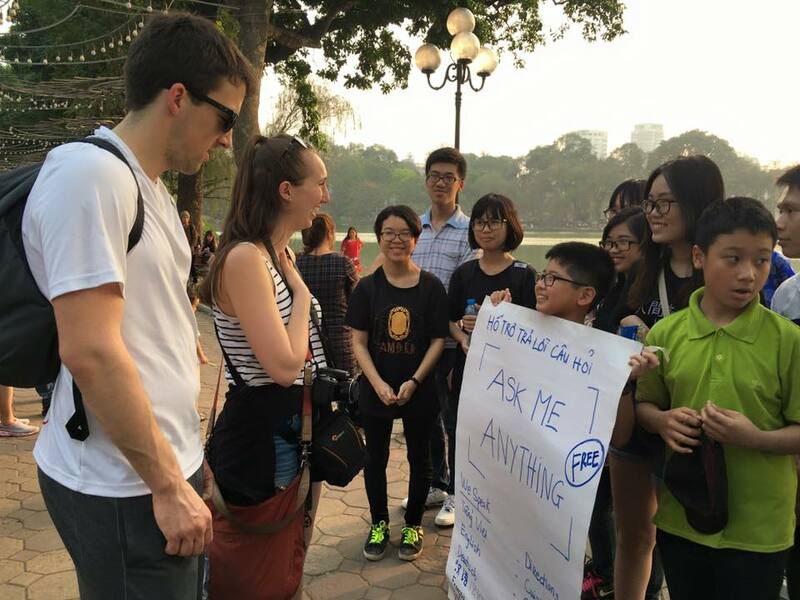 From the other side, tourists get to know more about Hanoi through interacting with locals as well as getting any of their questions answered. 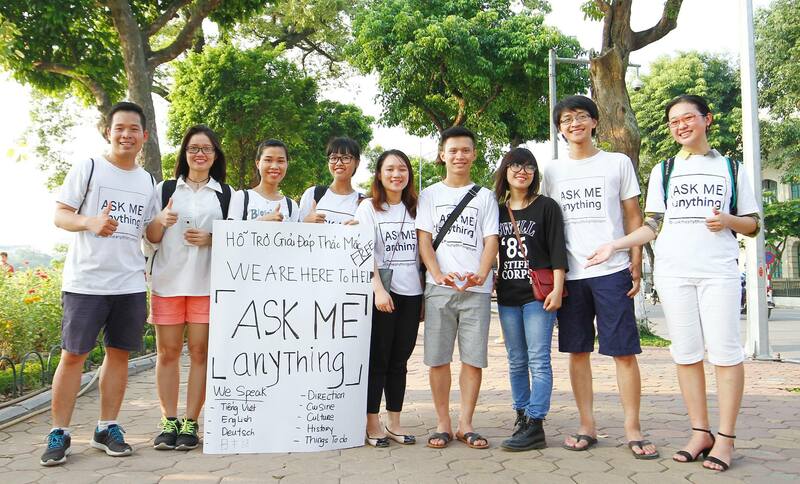 Currently, “ASK ME anything” is running very well with more than 1000 registered members. We have received many outstanding reviews from tourists and our community, and many parents send their children to join us. 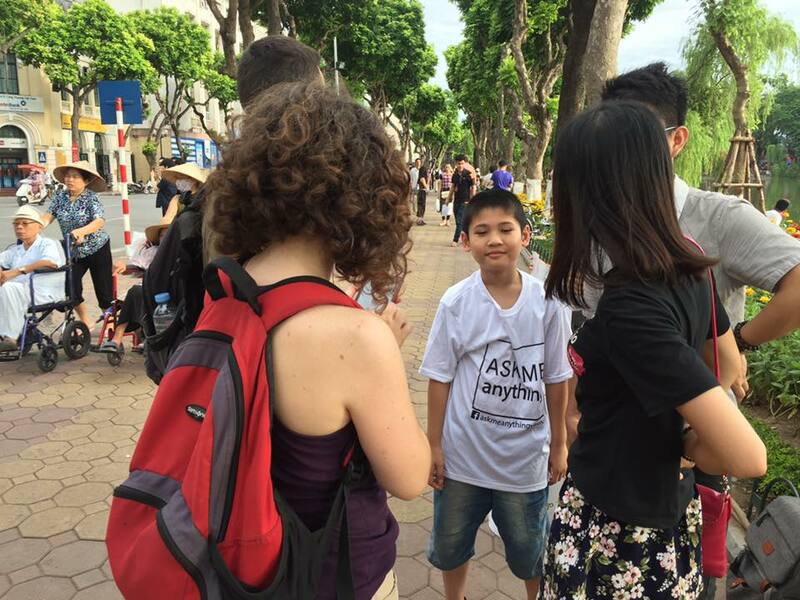 By early 2016, we have expanded our group to Hochiminh, Hue, Can Tho and DaNang City and of course, we offer service with a smile.